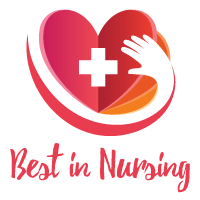 Laurie Cairone, Nurse Care Manager at Coastal Medical, has been selected as a “Leader in Nursing” by the American Health Council, where she will be sharing her knowledge and expertise in Case Management, Psychiatric Nursing, Occupational Health, Urgent Care, and Long-Term Care. A thirty-one-year veteran of the healthcare industry, Laurie offers valuable insight in her role as a Nurse Care Manager at Coastal Medical, which is the largest physician owned and operated Primary Care practice in the state of Rhode Island. As a Nurse Care Manager at Coastal Medical, Laurie’s day-to-day responsibilities include care coordination for a high-risk patient population in a primary care setting. To that end, she develops nursing care plans, interventions, and treatment goals in collaboration with patients, patient families, and providers. She utilizes motivational interviewing techniques to assist patients with establishing self-management goals, and performs intensive case management functions aimed at promoting quality, cost-effective outcomes. Laurie graduated from the Community College of Rhode Island with an Associate’s Degree in Nursing in 1986. She knew she wanted to be a nurse when she was six years old, after her mother noticed how calm and caring she was with other children and encouraged her to pursue a career in the Human Service industry. 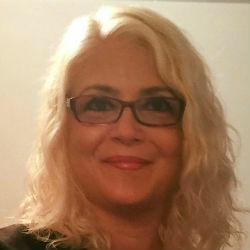 Looking back, Laurie attributes her success to remaining open-minded about change and her desire to continually pursue professional growth through entering new areas of specialty in nursing. She also accredits her ability to operate well in a team, given the importance of collaboration, communication, and judgement in the healthcare environment. Most importantly, Laurie gives thanks to all of the wonderful mentors she’s had, who have taken the time to teach her about each of the specialty areas of nursing she has entered. Out of all of her accomplishments, Ms. Cairone takes pride in her ability to always give her patients the highest quality of care, under all circumstances and in any health care arena, given her wide breadth of nursing specialization areas. In her free time, Laurie enjoys meditation, artwork, exercising, and spending time with friends and family. She also volunteers, providing meditative art classes to the ill and to the rest of the community. Coastal Medical is Rhode Island’s largest physician owned and physician governed Primary Care practice, serving patients in Rhode Island and southeastern Massachusetts. Coastal Medical employs over 500 professionals in a variety of roles and functions including MDs, RNs, PAs, lab technicians, financials, IT, and medical billers. Within their physician group are specialists in Cardiology, Pulmonary, Gerontology, and Infectious Diseases. Coastal Medical also offer imaging services and Medical Imaging in East Providence, RI, as well as laboratory services at numerous locations state-wide, as well as a Sleep Disorder Center.